Let's talk about business today. Just so you know, while I have always viewed blogging as fun, it's also become a substantial source of income. I know a lot of you want to earn from blogging, too, that's why I think you might find this post interesting. Beauty For A Living is the hardest to update because I'm just not a good beauty/fashion blogger. I'm not vain enough to want to try the dozens of products sent my way and yet I'm too vain to post "before" pics. Because of my job as a magazine editor, there is some concern about my posting honest reviews on products. It's okay if the reviews are good but if I say something negative, the magazine advertisers may be offended. Actually, even a positive review may be seen as trying to curry favor with clients. Clearly, any review presents a conflict of interest. So I just post press releases but I make sure not to copy-paste! I always try to inject myself in the PRs. Nevertheless, PRs are not what readers want to read. So that blog is going pfffft! I've mulled over abandoning it altogether (and I have, time and again) but even if I don't update it, it's still the blog that earns most via Google Adsense. Yup. Of my three blogs, it's the least visited and read but it's the one that has the most Adsense income! That's why I can't delete it! Maybe when I'm no longer a magazine editor, things will look up for Beauty For A Living. So I'll keep it, let it earn Adsense money. It's passive income. Topaz Mommy, meanwhile, has become my favorite blog. Since becoming a mom, my heart is devoted to my two sons, and where your heart is there your treasure lies. So obviously, my treasured online home is now Topaz Mommy. I find it the easiest to update. Among my blogs, that one has enjoyed tremendous growth—from 16,000 monthly views at the end of 2011 to 33,000 at the end of August. That's more than 100% growth in just 7 months. Income-wise, Topaz Mommy hasn't earned me a lot of cash but it's earned me tons of free stuff from mompreneurs who want to promote their businesses and from big brands that want to promote their mommy-kiddie stuff. Diapers, toys, nursing wear, books, etc. I haven't actually written about all the gifts I and my children have received. But I will get to it! Meanwhile, thank you super duper! I also want to say that I only accept gifts from brands I believe in. If I don't support a certain product, I just say, "Thank you but I cannot promote your brand/product." It's not so serious. Sometimes I say, "My children don't go to school yet so summer tutorials aren't relevant to us." Or I say, "My children are boys so I can't do a review of the hair accessories you design for little girls." Or I say, "I'm currently breastfeeding so, though I'm very tempted, I can't avail of your free diet and fitness program that will guarantee I'll lose 20 lbs in a month." I'm beginning to think of not accepting products altogether actually. As I mentioned in this post, my mommy blog has begun looking like a press release/promos website. I certainly don't want that. Besides, it's exhausting running contests—the checking of entries, the picking of the winner/s, the communicating with winner/s and losers, the sending out of the prizes (plus the shipping's on me, too!). It's become work. And the blog isn't earning me enough for it to be work. Follow my train of thought here please. I started Topaz Mommy because I was scared shitless of mommyhood. I wanted friends, other moms to help me understand what I was going through. Then when I became a mommy, I wanted to share the joy of having kids. I am so happy to say that all that I hoped to get from mommy blogging—friendship, wisdom, joy, support, community—I got. But ever since my mommy blog exploded this year, it has felt like work! If it's going to feel like work, then I should be paid to do it. But that would make mommy blogging a chore, you know? Sigh! I haven't decided what to do. On one hand, I love supporting businesses (I'm an entrepreneur, too!). On the other hand, I want to reclaim my mommy blog! I hope I find a solution to this. Now, as for Topaz Horizon... This is my oldest blog. It's my personal blog of frivolity. Well, at least that's the idea. Thing is it never remains frivolous! I start talking about love, marriage, relationships. I go on and on about financial planning, homemaking tips, career decisions. I even dispense advice now and then. Topaz Horizon is also my biggest blog. Ergo, it earns me the most income. And I don't mean gifts; I mean money. It's still not earning enough for me to quit my job, though. Again, that's mostly because I refuse a lot of offers—endorsements, sponsored posts that would be in conflict with my job or my beliefs and lifestyle. I tell ya, if I accept everything that comes my way, I certainly can be a stay-at-home mommy. But I have to have this thing called integrity and sometimes I ask myself why I have to have that haha! Now, as I mentioned above, Topaz Mommy is the blog that's dearest to me now. I honestly don't know what to do with Topaz Horizon. Since becoming a mother, going to parties and events and basically going out of the house has lost all charm. So now that my life is just office-home, it's not very exciting anymore. Therefore, there's not much to write about here. My readers can tell. Topaz Horizon's stats, while still very good (at 45,000 views a month, it's still bigger than Topaz Mommy's), has plateaued. This blog needs to grow if I want it to earn more income. I've not made it a secret that I want Topaz Horizon to earn money. I've always said that I'm a writer so I got to get paid every time I write. So I have to do something to make this blog grow! My friend, Mariel of NY Minute Now, told me I should just turn Topaz Horizon into an advice column. Our favorite Elle columnist is E. Jean. I can be an Auntie E! I do get quite a bit of mail asking for advice on love and career. I don't know why you guys do this! Y'all make me feel old, ya know! Another idea is to make this blog an outfit blog. There's a lot of fashion blogs out there, and they all happen to feature young girls with tiny waists and cellulite-free legs. They also have a penchant for Korean/Japanese fashion. None of which I, in my mid-30s, can relate to. I can't wear pekpek shorts anymore because I have stretchmarks running up and down my thighs. And many of the outfits on those fashion blogs aren't fit for real life! I'm a mommy, a career woman and an entrepreneur. My clothes have to work with me. So while I was bitching about this on Facebook, my friends suggested, "Why don't YOU do it?" Argh. Because I don't have the time! Fashion blogging is serious business! I have full respect for those little girls. The styling, the shopping, the perfect mani-pedis, the hairless legs, the perfectly styled hair, the makeup, the looking for backgrounds to pose against, the posing, the pretending-there's-no-camera... That is hard work, folks. I don't know if I'm up to it. What do you suggest for this blog? What do you want to read? What do you want to see? Help! I'm planning major overhauls come 2013. I'm talking to an artist regarding a redesign for all blogs. I'm talking to blogging mentors. I'm evaluating if sponsored posts help or harm my blogs. I'm evaluating if I should refuse sponsored posts and just accept advertising OR if I should take away the ads (they're cluttery) and just do sponsored posts. Sooo many things to think about! How about you? What's your blog plans? I would miss Topaz Horizon, but I have also grown to love following your mommy blog, even if I'm not a mommy myself. I think you can merge the two blogs. As for Beauty for a Living, keep it, and put outfit posts there whenever you feel like it. You know, for the times when you just really feel super about your outfit for the day :)I remember you used it to sell some stuff too. To be honest I look forward to reading first, your mommy topaz blog then this one. I love reading this blog, because even just for a while it keeps me off the "mommy hood" I could get and read what you do at your work. How I wish I could even just get half of that views/readers in my blog. But I don't even talk about work here! Look through all my posts—from the very beginning till today. I very rarely talk about work. I really find your comment odd, Grechie! I just looked through all my posts here on Topaz Horizon. I really don't talk about my work here. I rarely even promote the entertainment magazine I make. I talk about my marriage, my dead mother, my house, Hollywood celebrities, Kate Middleton, shopping, etc etc. Sorry, your comment made me nervous. I've been very cautious because a lawyer told me to never ever talk about work on my blog. I've tried NOT to but sometimes it slips in now and then but it's very very rare. And now you're telling me you read this blog because I talk about my work! Oh my. I think you have my blog confused with my Twitter account! Hi Frances! I've been reading your blogs for some time now but this is my first time to comment :) I followed your Topaz Horizon and I love your real-woman take on fashion and beauty. And I'm not even a mommy yet but I also ready your Topaz Mommy posts every now and then. Maybe you can write about the books you get to read. Is that allowed? Hi, Frances. I regularly visit your Topaz Horizon blog and the Topaz Mommy, not much with Beauty for a Livingonly because it is hardly updated lol. I guess what makes Topaz Horizon the most visited one is because you talk about everything here, you talk about your boys, your job sometimes and some new things to try in the market. In other words, it has variety. I guess that is what readers want. I maintain a blog too (http://thestagemommydiaries.com) and although it is a mommy blog, I talk about beauty, fashion, travel and food. As a blog reader, that is I want in the blogs that I visit, something with variety so I would suggest make it a combination of the three? If that makes sense? Just a suggestion. With regards to my plan for my blog. I started it in 2004 as an outlet since I love to write,in Friendster then Multiply but decided to get my own domain this year coz recently, only recently after years that advertisers have started emailing me about blog posts and events. Now my future plan is to set up an online boutique and connect it with my blog. But that will be in the future when I have enough readers. I am still trying to build up my readership, you see. i love topaz horizon the most because you talk about everything and anything under the sun from your work, family to silly little things like bags and clothes. :) i'm glad you want to keep it. and personally i think you should keep talking about the things you've been blogging about here. I think you should only have one blog, it's very hard to blog hop. Personally, I just really want to know how to you juggle everything anyway - as a mom, working girl and kikay girl. Sort of like Daphne's blog, where motherhood and everything else intersect. You're not my usual reader kasi. My Topaz Horizon readers are mostly in their 20s, single, career-oriented. Topaz Mommy readers are mommies obviously. As a regular reader of your blogs (this and the Mommy blog), I like the Mommy blog best too. But I also like Topaz Horizon because this is the first blog :) I actually love your outfit posts because I think they're easy to achieve. I'm a mom too and of the same age bracket as you are so I find it difficult to relate to other fashion bloggers hehe. Can I also suggest home ideas like decorating? I find that there are not much blogs about home decors here in the Philippines. 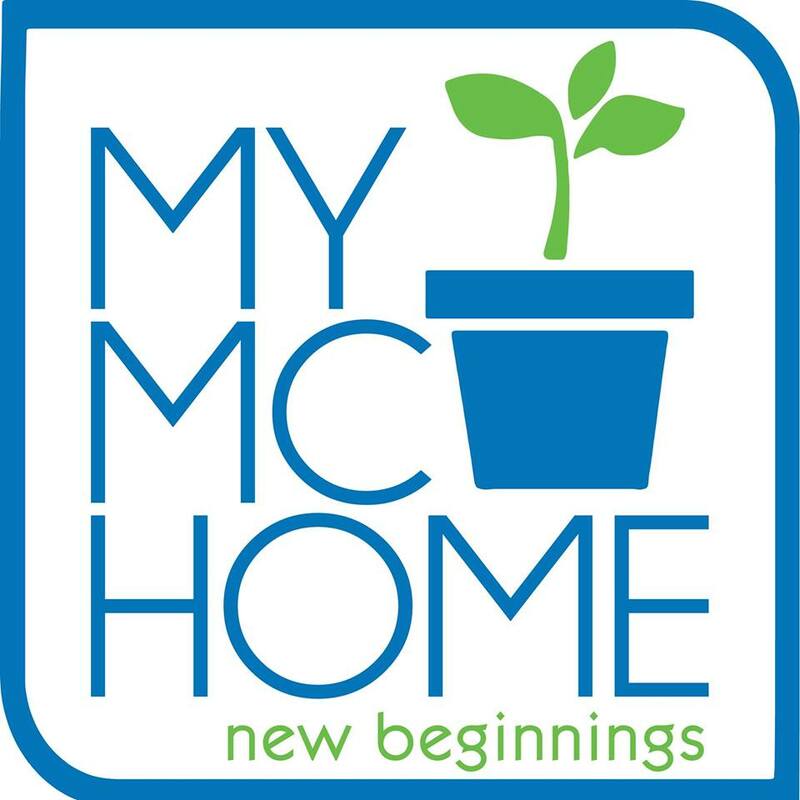 Sure there are a lot of blogs on home decors but their stuff are not based here plus some of their designs won't even be appropriate here in humid Pinas. Naku, I'm no expert in home decorating actually. I have a good eye for beautiful things but I don't know how to put them together. It's my husband who's fantastic at that =) So I'll suggest your idea to him! Hi Frances, i'm surprised about your dilemma, you're my idol! You're so entertaining. Your blog is one of my guilty pleasures. I hope one day when I'm retired I can write/blog as freely as you do. My current work occupies most of my time while attending evening class for my MBA. Lemme see, what do I love most about your blog...hmmm. I like the way you write about your life, your family, things you like doing, buying, reading, watching and even your blog on Taylor Swift's latest hit (how thoughtful, you even shared the lyrics). So just keep telling us about what's the latest about your life, what you think of this and that, hopes and dreams (light stuff). In short, tell us more about you. Topaz Horizon is you. Blog now! =) I have a full-time job, have other writing projects on the side, have a buy-and-sell sideline, host Bible study every Friday, and I am a wife and mommy on top of all that! I blog now because my life is so full! Pag retired na tayo, wala na tayo isusulat! Unless we write about our graying hair, wrinkly skin and trips to the bathroom! Thanks, Dang! You've been my reader FOREVER!!! Mwah! You and I have similar concerns, Frances! I have two blogs (www.trulyrichmom.com and www.teachermamatina.blogspot.com). The former is my main mommy blog and the latter my homeschooling blog. I am finding it hard to update both (what more ikaw, you have THREE blogs!) and some people have also suggested na I merge both na lang. Pero reading other homeschool moms' blogs, both locally and internationally, I found that quite a number had two separate blogs talaga, to "fit" each "niche." Hi Frances, I was thinking of moving from wordpress to blogger, since I can't link my wordpress blog with nuffnang and I do want to consider blogging as a way to earn if possible. Should I do it? Haha, I don't think blogger provides a method of importing so I'm scared of losing all my old posts AND the small readership I've built up. If you have any bits of advice, I'd love to hear them! Also, about Beauty For A Living-- you're sooo lucky to be invited to events because of your job! :) But I do see how it can be frustrating to just be going on about PR event after PR event. Maybe a look at practical, "mommy lifestyle" friendly makeup? But then that would also fit in under Topaz Mommy... which I've started to read recently too btw, even though I'm far from having kids (excited to one day!). Actually, everyone tells me that Wordpress is better. It's just that I've been on Blogger forever so I choose not to move. You can put Nuffnang on Wordpress. I see Nuffnang ads on my friends' Wordpress blogs ALL THE TIME. Don't ask me how to make Nuffnang work on Wordpress, though. I'm a Blogger girl so I have no idea! My friends also say Wordpress is more ad-friendly (Blogger kasi is a Google product so it's jealous of other ad platforms). So stay with Wordpress. Just find out how to work it! As for mommy makeup. That's funny. What's mommy makeup? I have the same makeup now that I had when I was still childless! (That's La Mer, NARS and Bobbi Brown) Is there a special makeup for moms??? My routine hasn't changed because I've always been a lazy girl when it comes to makeup. I only started wearing makeup when I became a magazine editor and only because that meant I'll have to go to meetings and events. So I only put on makeup when I turned 30 years old. Yes. No joke. I didn't like makeup when I was growing up. Hi Frances, I visit TOPAZ MOMMY first then TOPAZ HORIZON. My advise? Just keep on going, I find your blogs entertaining and fun, you talk straight from the heart and I admire you for being honest and REAL. I just think it's really HARD WORK to maintain the two blogs. For TOPAZ MOMMY, I would wanna see more of your kids, baby products you endorse, family travels or anything "moms" usually do. 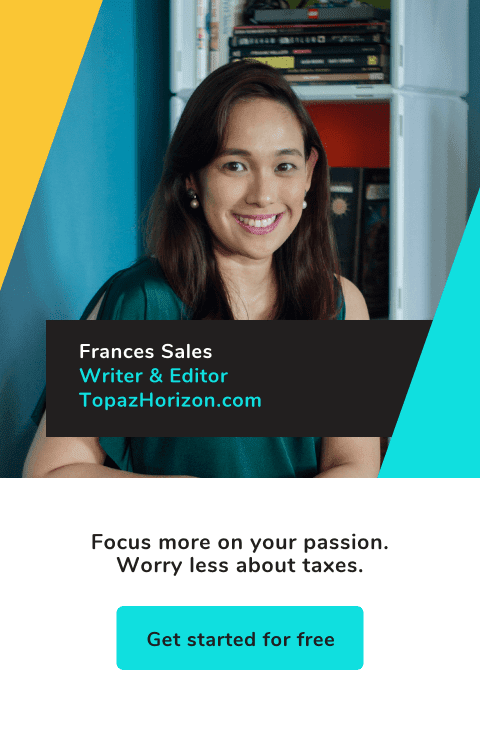 I've read all your blogs but I mostly frequent Topaz Horizon because it's personal and topics range from motherhood to anything.